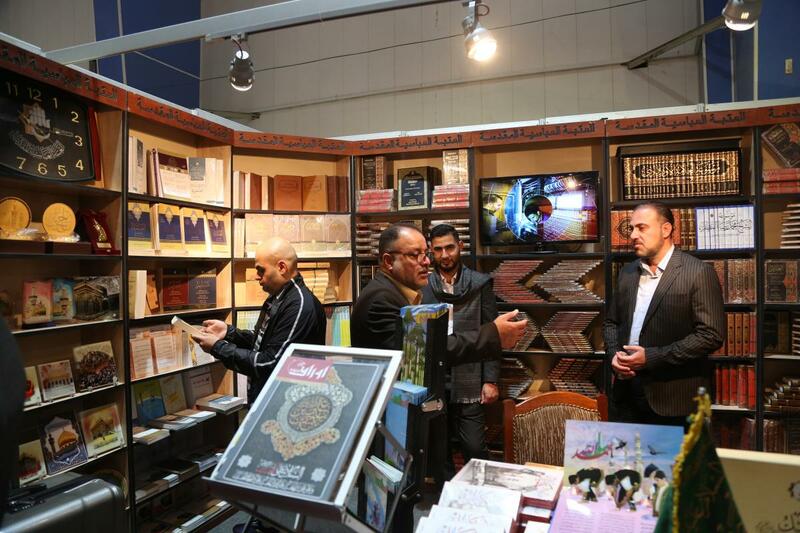 The al-Abbas's (p) Holy Shrine participates in the seventh edition of the Baghdad International Book Fair. 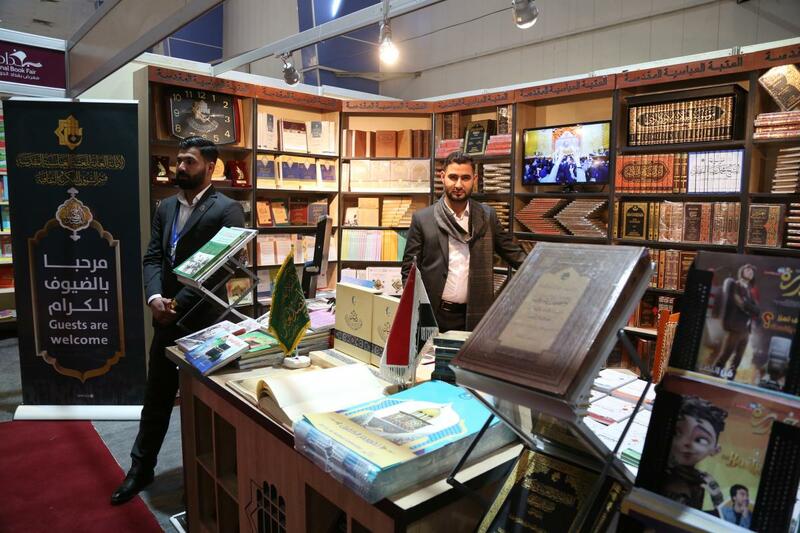 The al-Abbas's (p) Holy Shrine, represented by the Intellectual and Cultural Affairs Department and the Islamic knowledge and humanities Department, participated in the 7th edition of the Baghdad International Book Fair, which began on Thursday, 1st of Jumada I 1440 AH corresponding to February 7, 2019 under the slogan: "One book is worth more than a life", and held with the participation of more than 650 local, Arab and international publishers from 23 Arab and foreign countries. And as usual, the pavilion of the al-Abbas's (p) holy shrine has been characterized by intellectual and cognitive diversity. The pavilion of the Holy Shrine included dozens of scientific and intellectual publications that were characterized by the modernity and authenticity. The pavilion was also characterized by the diversity of the treated subjects, starting from history to religion, family, children and heritage. 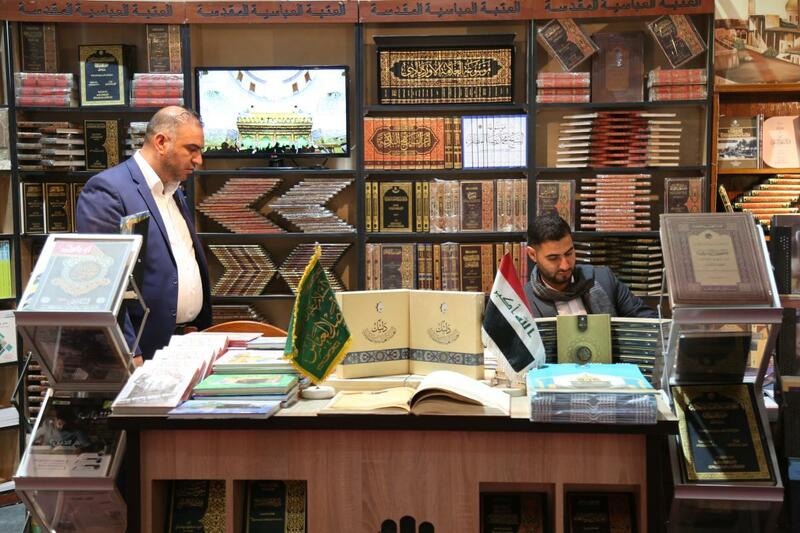 The Director of the Baghdad International Book Fair, Mr. Ahmad Al-Zaki said to Al-Kafeel Global Network: "We thank the brothers at the al-Abbas's (p) Holy Shrine for their active and ongoing participation in the Baghdad International Book Fair. They have accompanied every edition of the fair since its inception." 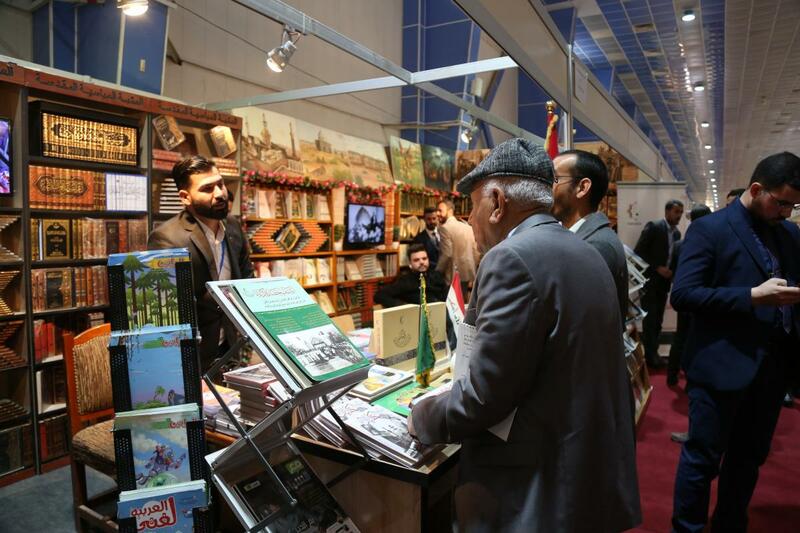 He added: "The exhibition is in continuous evolution, the last year's fair was the largest book exhibition in the history of Iraq, and this year's fair is larger 30 times than the one of last year. 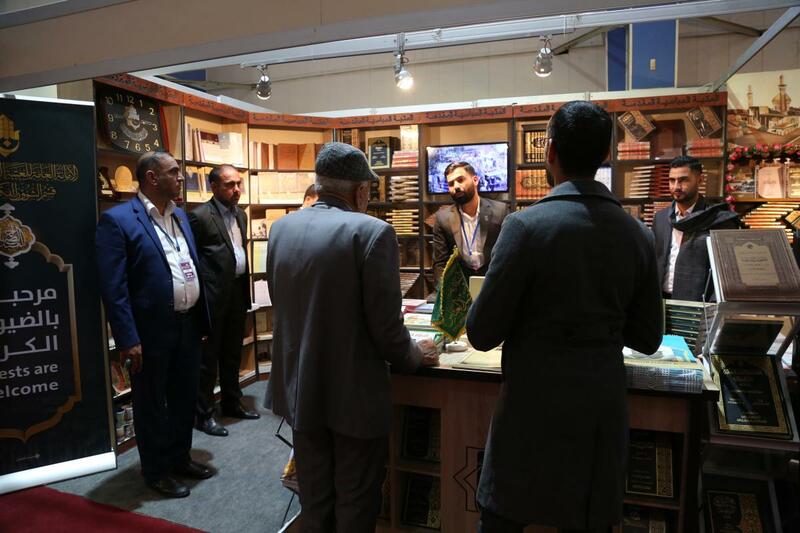 Its area is of 11 thousand square meters on which are erected the pavilions of 670 publishing houses divided into 320 direct publishing houses' offices and 350 Agencies of publishing houses from 8 foreign countries and 15 Arab countries. Pointing out: "The books displayed in the fair's halls are diverse and I do not think that there is any field and subject of science and knowledge missing in the fair this year." 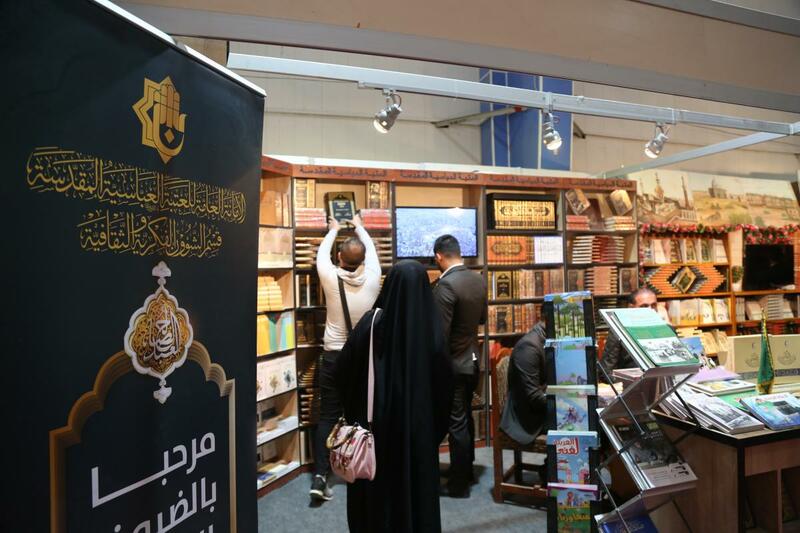 For his part, the official of the pavilion of the al-Abbas's (p) Holy Shrine at the fair Mr. Mohammed Al-Araji told Al-Kafeel Network: "The participation of the al-Abbas's (p) holy shrine this year is effective and diversified, as we are participating with nearly 700 publications. 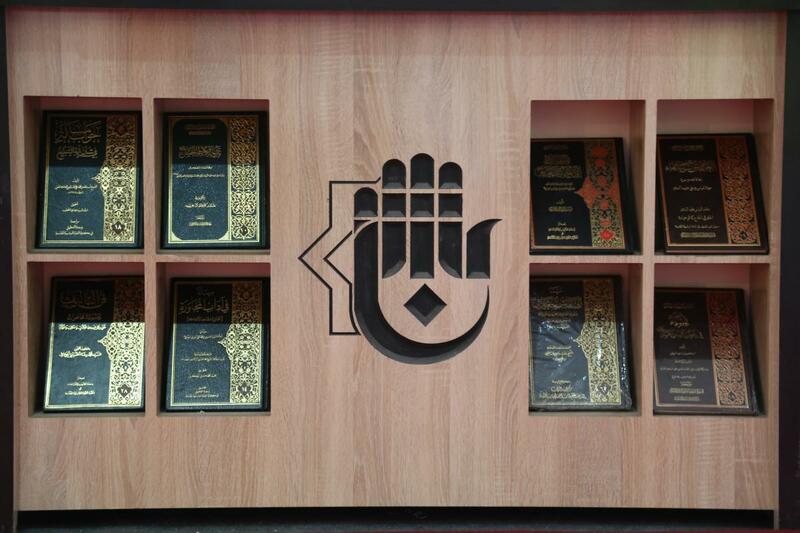 Our pavilion is distinguished by the fact that all its publications are wrote and printed at the al-Abbas's (p) holy shrine, including many encyclopaedias such as the Urdabadi encyclopaedia and the encyclopaedia of the scholar Sheikh al-Mudhaffar. It also includes some magazines such as al-'Ameed, al-Baher, al-Khizana and Tasleem. 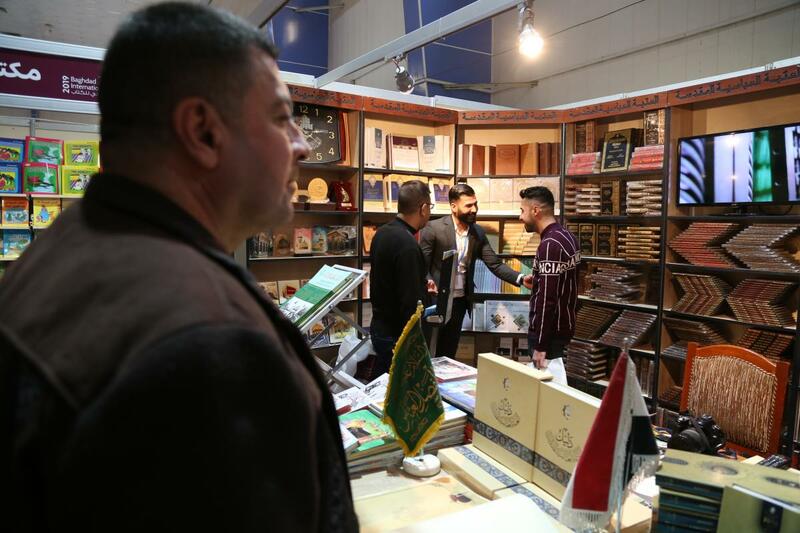 There was also numerous contributions of many divisions and centers of the al-Abbas's (p) holy shrine, such as the Children's Division, which participated with its various publications, as well as the Center for African Studies." The head of the pavilion of the department of the Islamic and Human knowledge affairs; Mr. Ali Kadhem, stated: "As everyone knows, the al-Abbas's (p) holy shrine is always the forerunner of such intellectual and cultural gatherings that aim the development of the community and human awareness, specifically regarding the revival of the heritage of the Ahl al-Bayt (peace be upon them)". "Our participation today includes a range of diverse publications on Islamic heritage, as well as the sacred defense Fatwa and the role of the wise religious authority in the establishment of the Iraqi state." He said. He added: "We also participated with publications about the martyrs who fell in defense of the land, honor and sanctities during their fight against the brutal ISIL attack on our country."